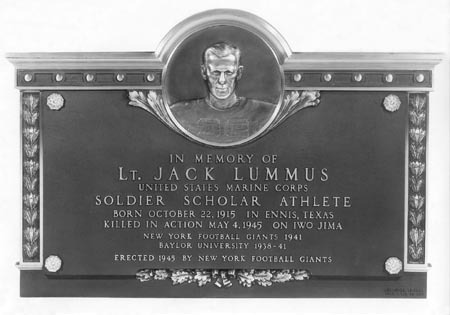 The bronze tablet was erected in Jack's memory by the New York Giants at the Polo Grounds on December 2, 1945. The date of death is incorrect. It should be March 8, 1945.